Puget Sound Energy, Washington’s largest utility, had a classic brand gap. They are doing a lot that’s “green,” but not many people know. Their energy efficiency division has many innovative products and services available for residential and business customers, and their renewables division offers things like a “green power” program which allows customers to support renewable energy sources. PSE came to us to help them find a way to let the public know about all the great stuff PSE is doing. 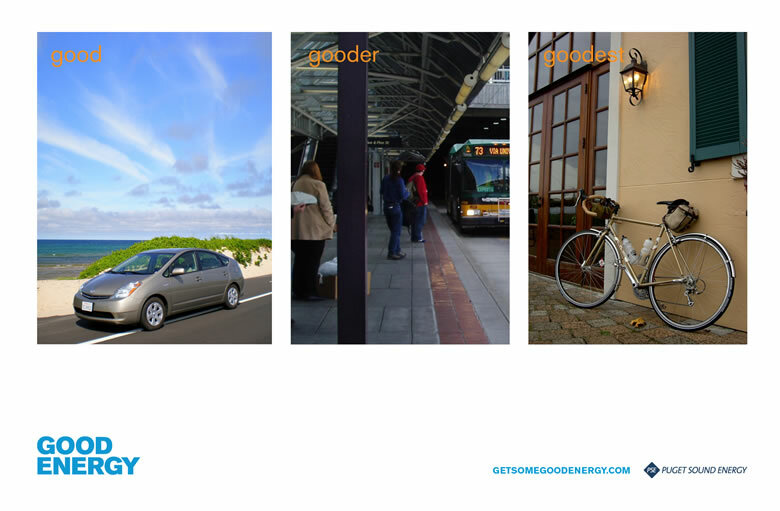 Good Energy is a modular 2-way umbrella brand frame that allows us to tell the numerous "positive energy" stories coming out of PSE, but equally important, those of its customers, with the end goal of changing people’s thinking and behavior around energy use. 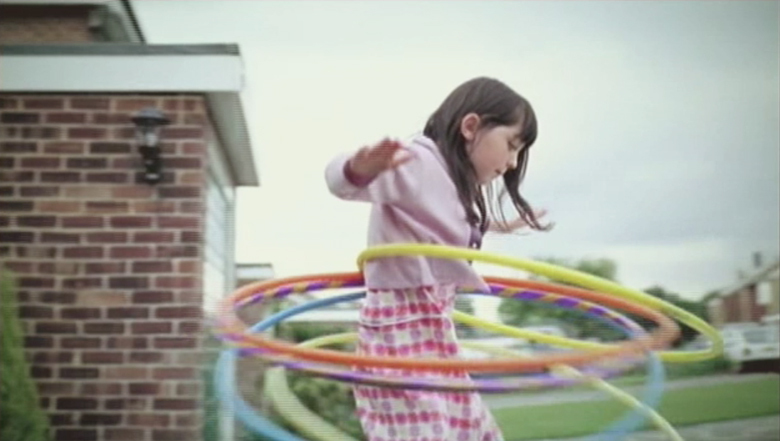 The Brand Essence video captures the heart and soul of the brand idea. It lays out structurally, rationally, and — most important — emotionally, the framework for the concept. Includes visual language, tone and voice. For this "sub-brand" under PSE, we created a modular, descriptive noun brand frame that allows great flexibility for action-verb-based storytelling and creative messaging. The identity was designed in such a way that it would not compete with PSE's corporate mark, logically or visually. Elemental, bold colors and fonts capture the no-nonsense but fun and authentic voice. 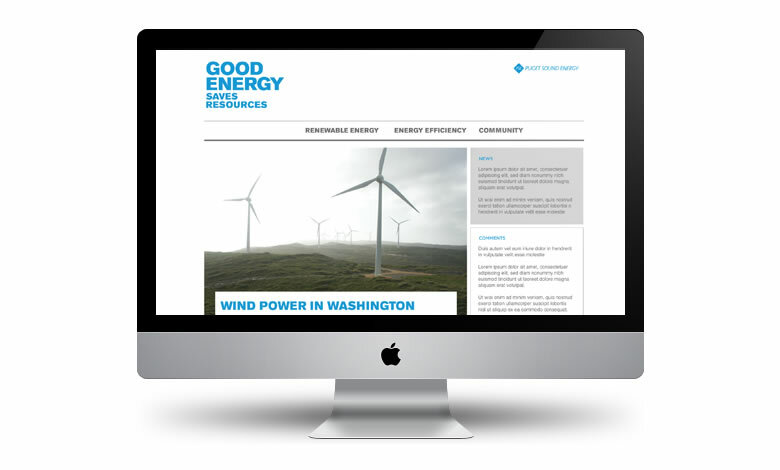 All communications point towards a robust site designed as a real-time container for the generative stories around energy efficiency and renewables, with a free flow of dialogue and social media engagement, as well as promotional, business, and residential customer service modules. 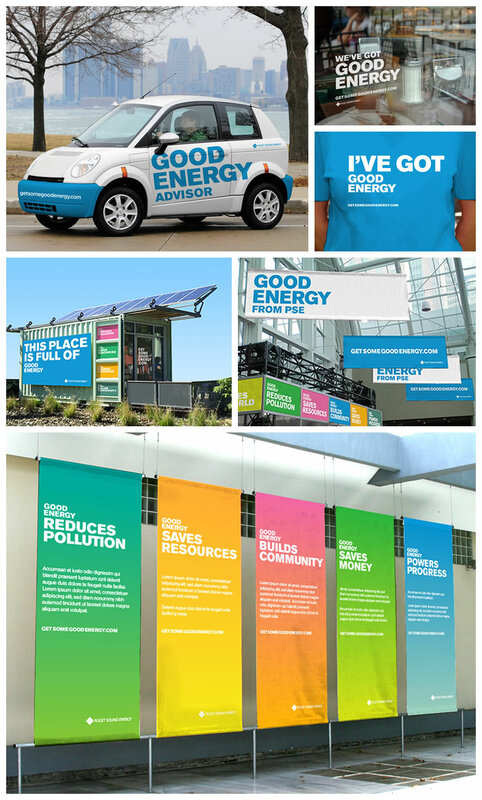 Broad and integrated creative extension of the modular brand frame into numerous channels, like guerilla marketing, paid media, sponsorships, promotional collateral, user-generated video, and even a solar-powered billboard. 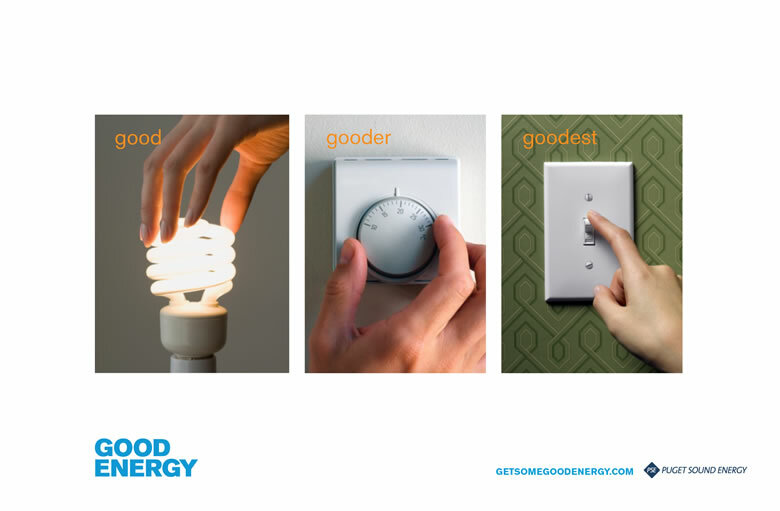 An aspirational and progressive messaging construct supporting the Good Energy brand in print, posters and promotional materials. 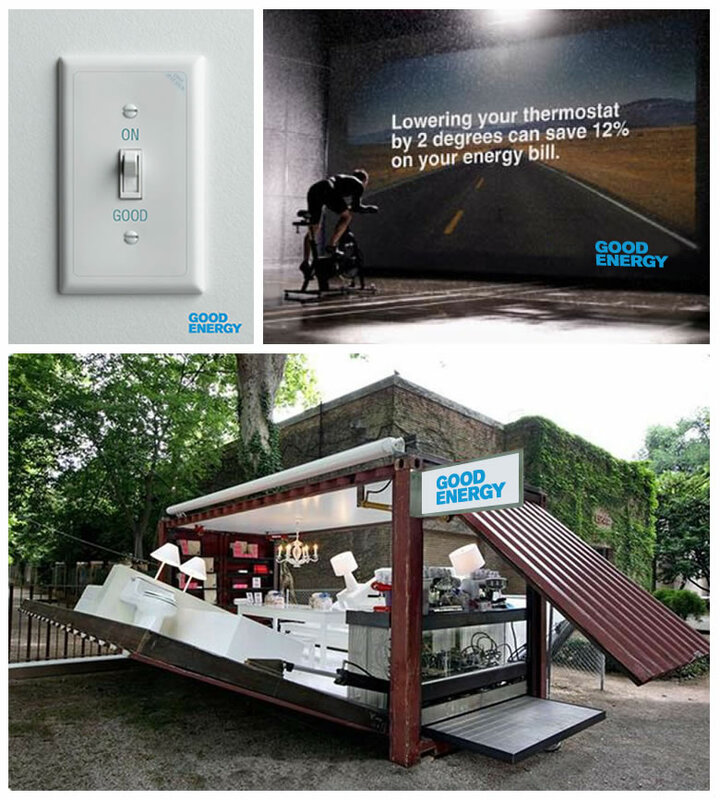 We designed a range of experiential pieces — from a converted shipping container as pop-up Good Energy residential educational display, to a human-powered Good Energy stationary bike installation, to edu-promotional lightswitch coverplates. Next project: The Honest Co.